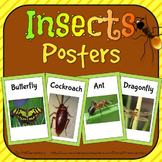 Bugs and Insects Word Wall Weekly Theme Posters. 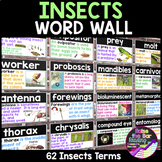 11 Thematic word wall words to start your Insect unit. Words are in English and Spanish. 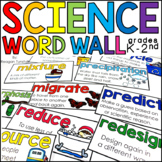 Perfect for your word wall or writing center! 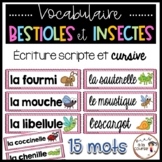 Build student vocabulary for your Bugs and Insects unit! 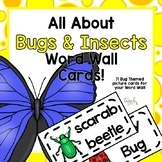 71 Bugs and Insects-themed picture word cards for your word wall! 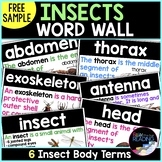 Build an awesome Bugs and insects vocabulary from Ant to Worm! Enjoy! 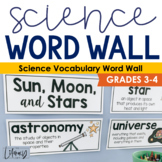 Please leave feedback for credit towards more fantastic resources from TPT! 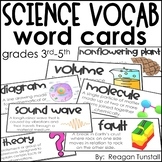 Also included in: Animal Word Wall Cards-9 Sets! Over 300 Cards! 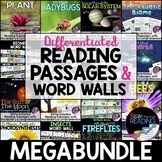 Included are sixteen full color, true to life pictures with accompanying vocabulary words. 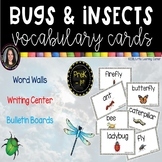 Great vocabulary cards for insect, spring or garden themes. 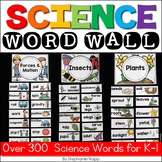 Perfect for literacy/writing centers, bulletin boards, word walls, circle time displays or in the science center. 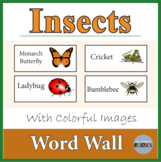 Insect vocabulary including ant, butterfly, beetle, caterpillar, chrysalis, firefly, cricket, grasshopper, dragonfly, and ladybug.